Bachelor´s degree in Physics, Universidade de Costa Rica, 2001. Master´s degree in Physics, University of Campinas - UNICAMP, 2004. 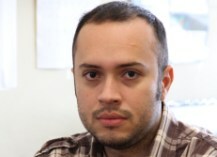 PhD in Physics, University of Campinas - UNICAMP, 2007.